Someone once said, “There are two things that most people get addicted to – either tea or coffee”. Of course, I don’t agree with this phrase completely. Apart from the caffeine which gives you a boost when tired, tea and coffee both have antioxidant in them and these are the good buddies for your body. Unfortunately, fans of both drinks have been arguing with each other for years. In fact, some studies did observe higher antioxidant levels in tea. I drank both of the beverages but probably more on the tea side. I started drinking tea since I was 3 so I have definitely got the experience to share with you all things about tea. In talking about tea, then I believe no one can omit the figure in modern tea industry in Sri Lanka, Mr Merrill Fernando, the founder of Dilmah, which is now the largest tea exporting business in the world and yet remain as a family business. Three years ago, in 2012, I was fortunate to meet with Merrill and his son Dilhan, who is now the CEO of Dilmah, and interviewed both of them. 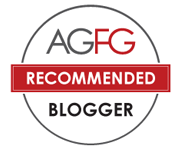 You can read my prior posts here. 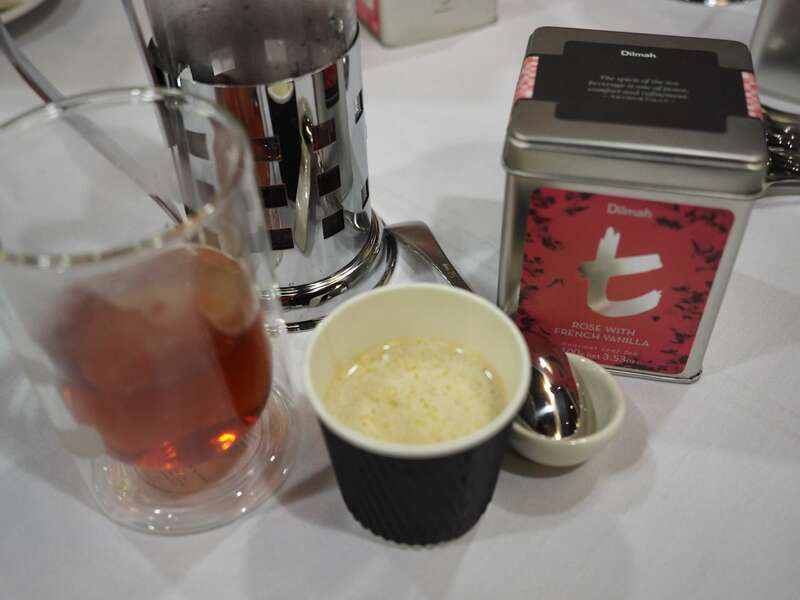 Early last week, Dilhan was back in Adelaide and hosted the first Dilmah School of Tea. Tea is believed to be originated from China by ShenNong, a legendary king of the ancient times, and was first used as medicines. The tea trade worldwide began in the late Ming Dynasty in China and continued until today. Tea trading in Sri Lanka started in the 1900s when Ceylon tea was put on some of the top restaurants around the world. In 1988, Mr Merrill Fernando started Dilmah as a family business which focused on pure single origin Ceylon tea picked by hands. 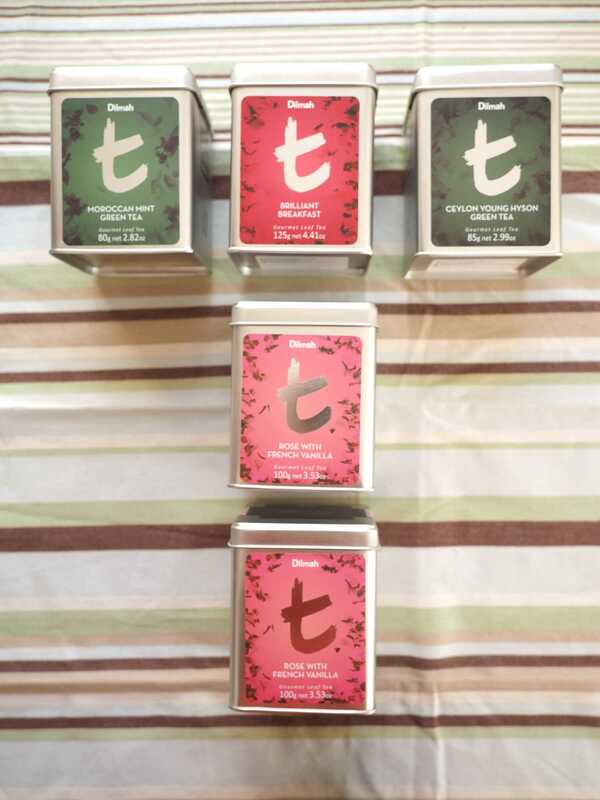 To learn more about Ceylon tea and Dilmah’s story, you can refer to my prior interview with Merrril and Dilhan. 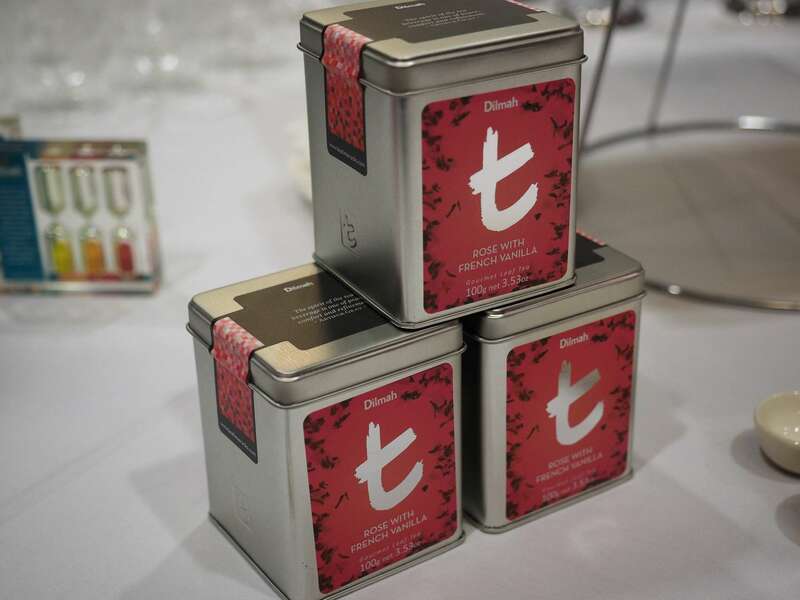 Dilmah School of Tea is the first of its kind. 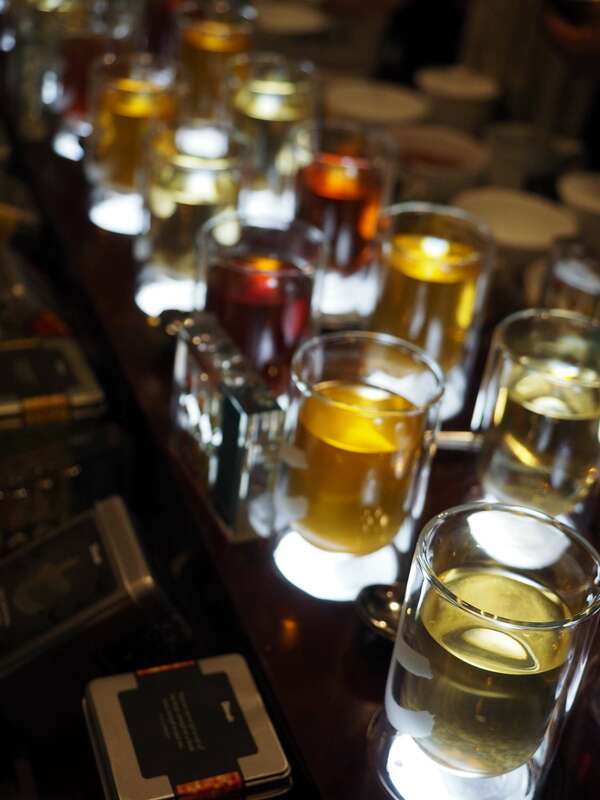 It focus on the pure method of brewing, tasting of tea and pairing tea with food. The program has been developed by tea experts aiming to educate people who appreciate the second largest beverage after water, tea. 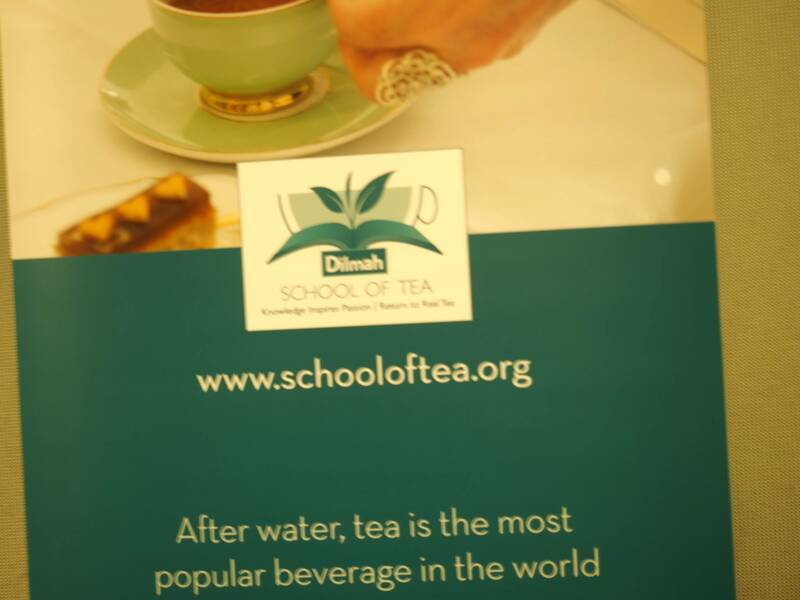 If you want to learn more about tea, it would be a great idea to log on to www.schooloftea.org. The website has numerous educational information for users with various tea knowledge and if you are keen, why not take some of the modules on the site to learn more about tea and its health benefits, brewing times and so on. Of course, attending one of the sessions in Sri Lanka would be ideal and you got to see the true Dilmah in their state-of-the-art training facility. On the other hand, if you are a wine appreciator, it is sure the tea side of you is hiding. With the tannin and flavours similar to the composition of wine, tea is also believed to be good complement to dinner and dishes. This is an entirely new development in the tea history and Dilmah is leading the renovation. While I was there at the School of Tea, I was amazed by the food and tea pairing. Some of you may know my background as a wine chemist and know that I appreciate a lot about wine when consumed as a promotional factor in a dish’s tastes. However, if you ever tried tea and food pairing, it is a different feeling. Maybe a curry chicken dish can illustrate my feeling. What about beef? You may ask. This beef burger is another good example. When first biting the burger, to be honest, it is just a burger, although made of wagyu. After taking a sip of the same rose French Vanilla tea from Dilmah, the oiliness of the beef has been taken away and the whole palate was left with pure beef flavours, pleasant and delicious. 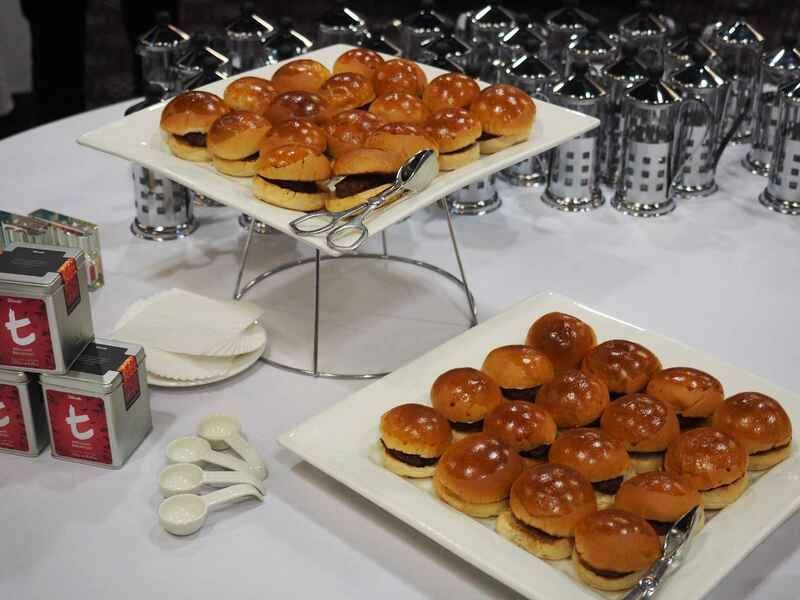 It also helped the burger to transform from an ordinary dish to a fabulous experience. Seafood dishes can also be demonstrated with the tea pairing fantasy. This pan fried fish is quite tasty on the palate. What would happen when taking with a green tea, I wondered? 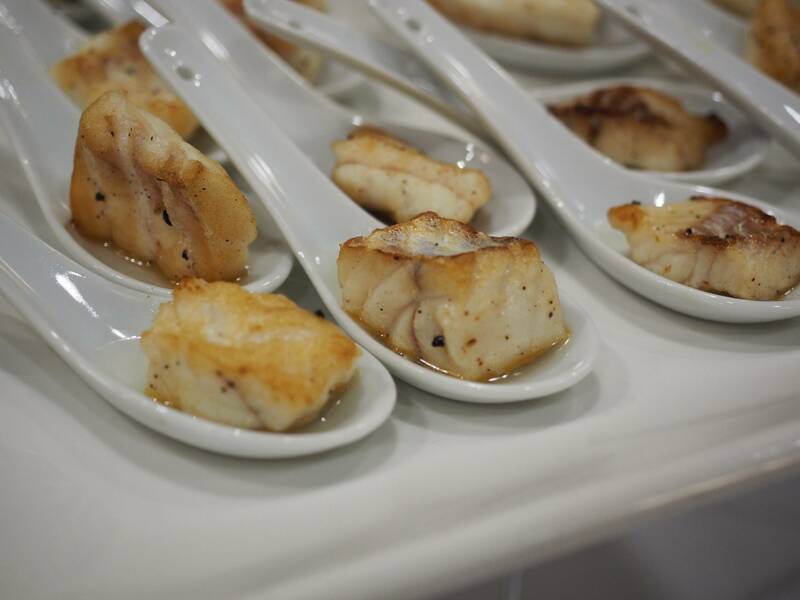 The green tea promoted the fish flavour and brought a clearer taste on the palate. You probably have noticed the below item on the table in previous photos. 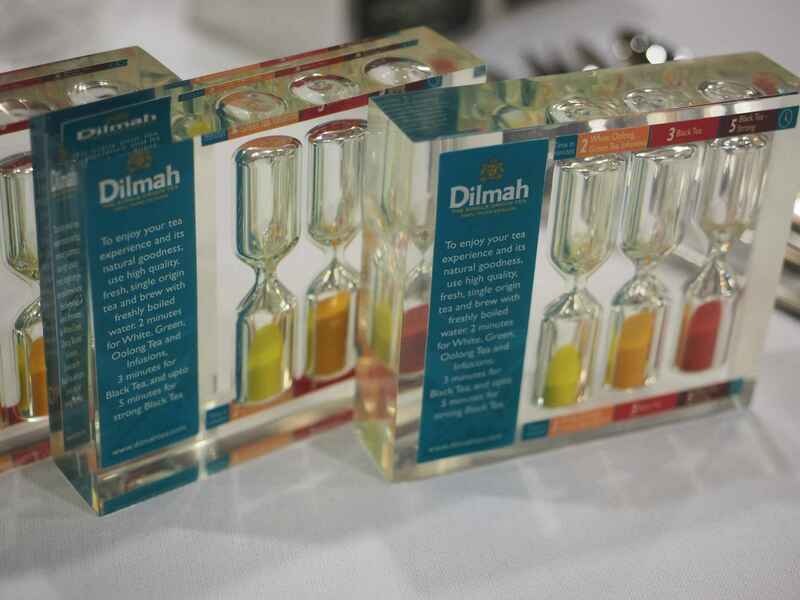 This little timer is what Dilmah developed to show their students and/or customers how long a tea should be brewed for. To put it simple “2 minutes for a Green, White or Oolong tea, 3 minutes for Black tea and 5 minutes for a strong black tea”. It is this simple! Oh, remember to use tea that are of small pieces because the infusion will be much tastier. If you don’t have tea with smaller pieces, you can do what I normally do, ie break the large leaf tea into smaller pieces. Most of Dilmah teas are of smaller appearance which can give a better infusion. Wow! What a tea party you had. I am going to try the chicken and tea tomorrow and get the family to try as well. Hope this works out fine. This is the sort of things I am always thinking about. If wine can pair with food, there’s no reason tea or coffee can’t! Of course tea can do the same job!